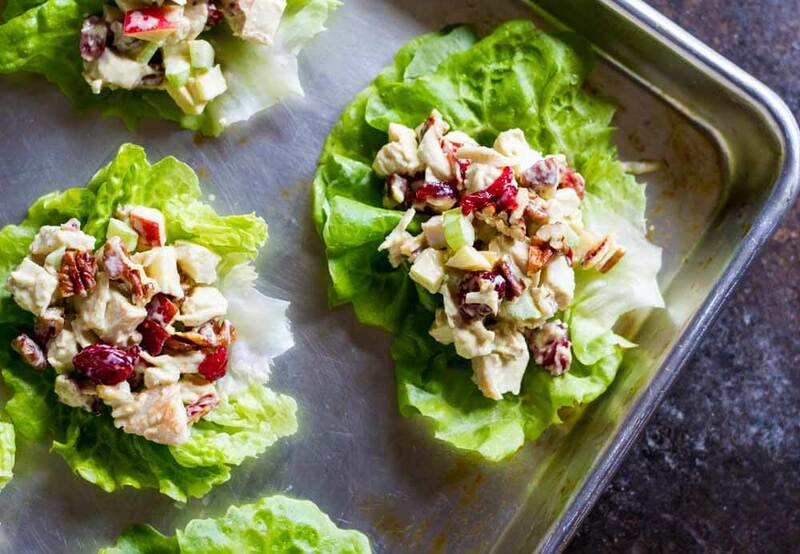 Rolling into Fall with this super simple Cranberry Apple Chicken Salad Wrap recipe. 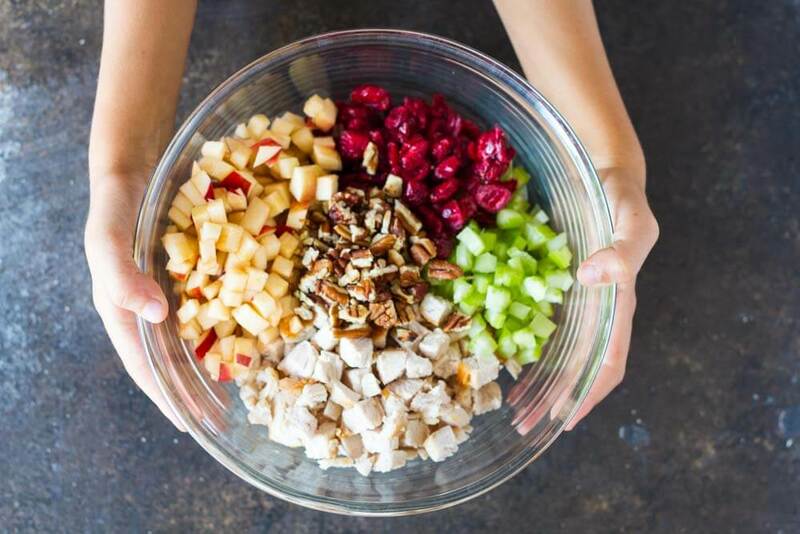 Crisp apple, tart cranberries, crunchy celery, and bits of toasted pecans. 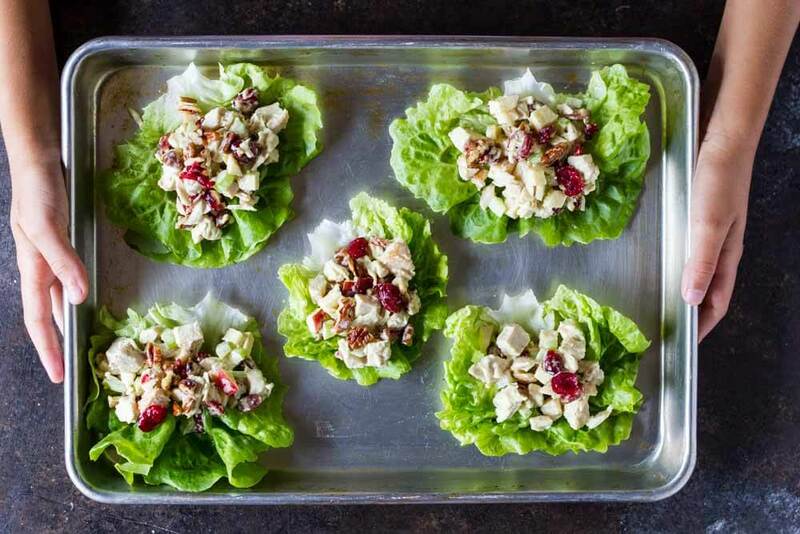 A great way to use up leftover chicken or even leftover holiday turkey. Lettuce warps are my go to for lunch these days. Fresh, crisp lettuce filled with whatever leftovers I have going on in the fridge. It’s an awesome way to get a bit more greens into my diet. 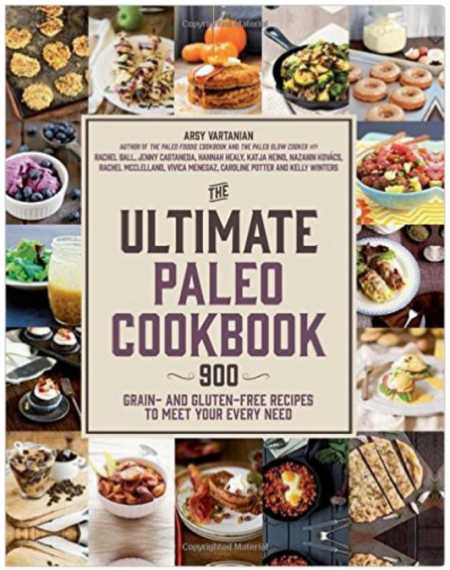 And perfect if you’re trying not to do the bread and cracker thing all day. Since I cook a whole chicken pretty much every week (gotta have those bones for bone broth), I almost always have leftover chicken for lunches throughout the week. 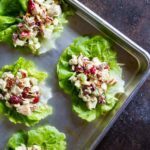 Chicken salad is a quick and easy way to use it up. All you need is some good quality mayo and some crunchy bits of veggies (or fruits) to create a healthy and delicious meal. The variations are endless. 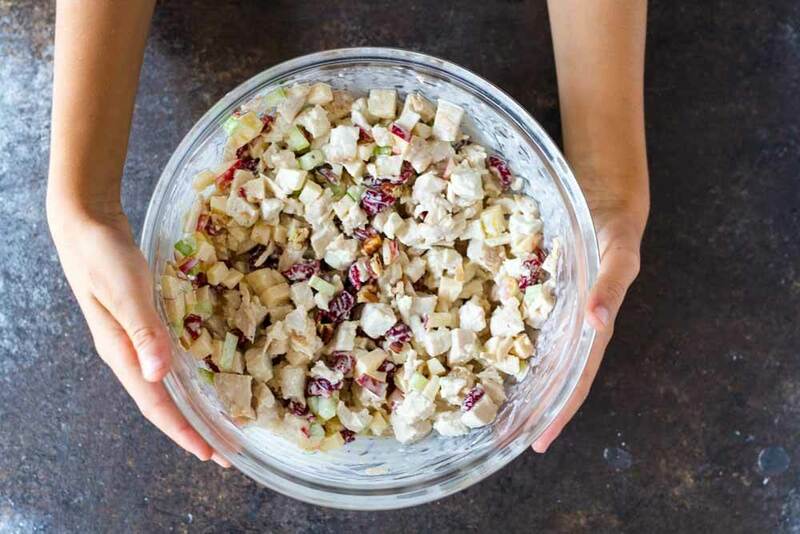 Since we finally had our first rain of the season here in Northern California, I’m sharing my favorite Fall chicken salad loaded with all the good things: apple , cranberry, celery, and toasted pecans – all married together with a creamy dressing lightly seasoned with lemon and curry powder. 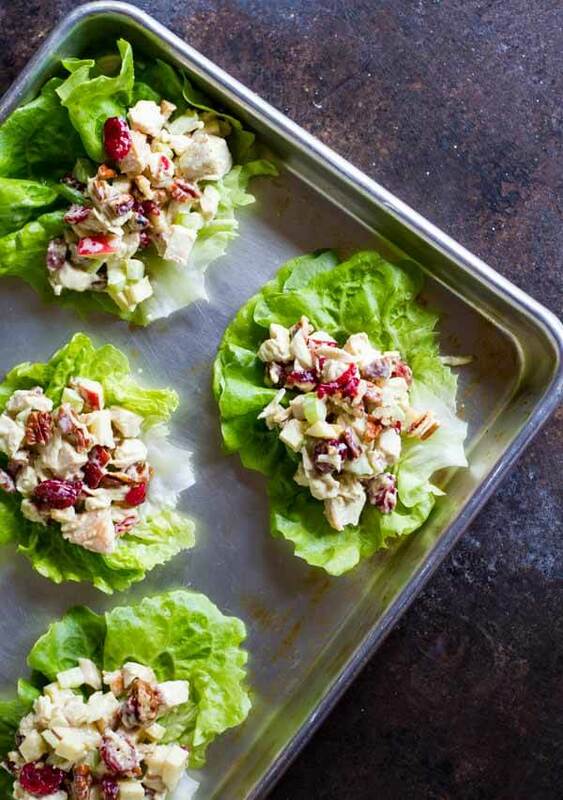 Scoop it onto some crisp butter lettuce, and you have an easy breezy meal loaded with flavor. 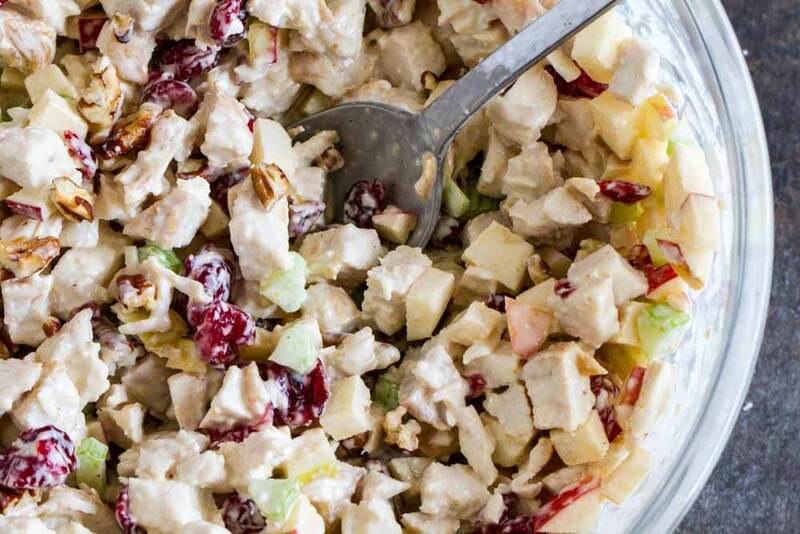 I’ve made this chicken salad several times lately as life is super full. 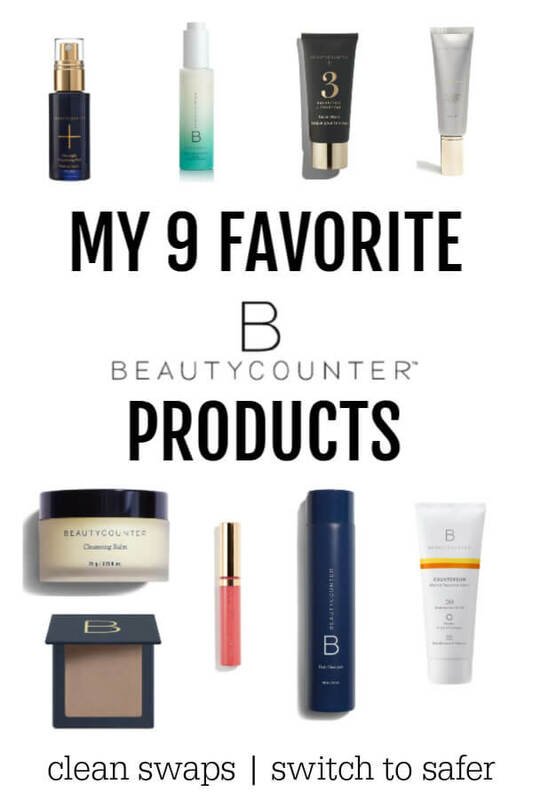 It’s so easy to take with me on the go. If you saw my post last week, you know that our new house build is moving right along. But it feels like I spend a lot of my time thinking about and managing the job. It will be so good to finally have a home after a year and half of living with family. Can’t wait to share pictures of my new kitchen. Radiant floor heating is going in this week! Staying in gratitude every day. Oh my! This sounds delicious! Love the cranberry and apple flavor combo! 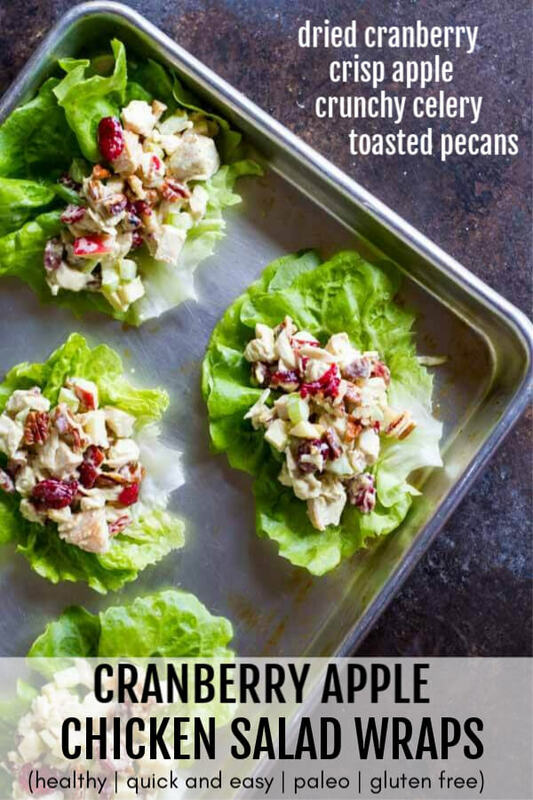 Always a favourite a good chicken salad and easy for me to prepare – thank you for sharing!